In my book, it’s not a Cinco de Mayo celebration if there aren’t margaritas on hand –whether there’s booze in them or not. 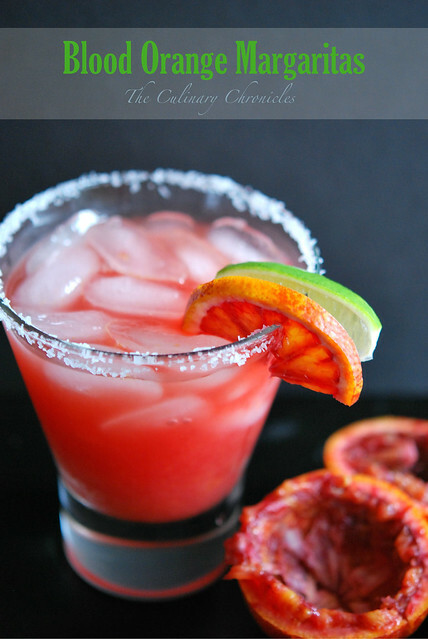 A chilled beverage filled with tons of citrus that is the perfect sidekick to spicy salsas, tacos, ceviche, barbacoa….let’s face it–pretty much anything! 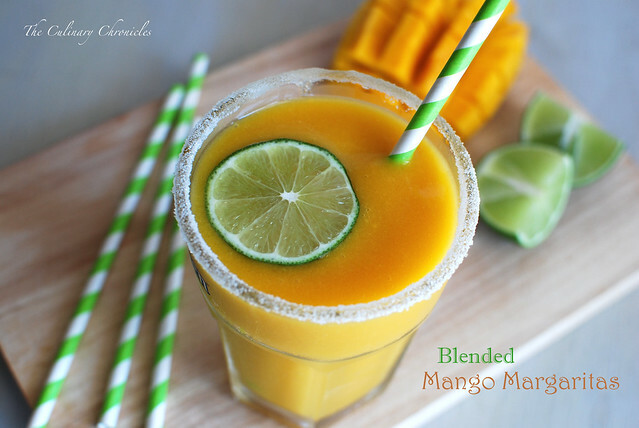 I managed to get my hands on some deliciously sweet ataulfo mangoes and thought they would be fantastic in a blended margarita. 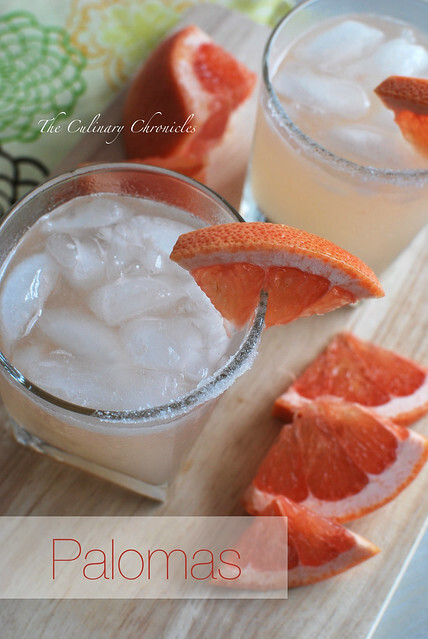 I tossed them into the blender with some booze, fresh citrus, ice and voila— a fiesta in a glass! 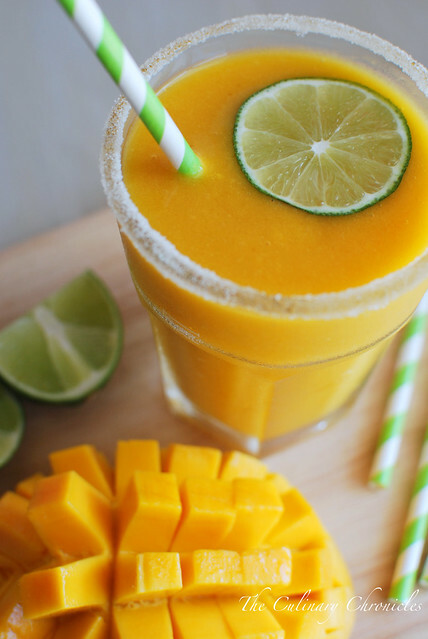 If you don’t have fresh mangoes on hand, frozen mangoes could also be used. However, you may want to reduce the amount of ice and add a bit more simple syrup to taste. 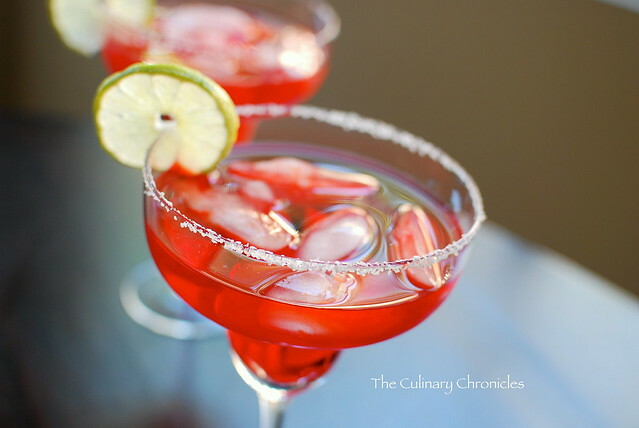 I also chose to rim the glass with sugar but if you happen to have some chili-lime salt (ie. Tajin) then that would be another fab flavor layer. Use the lime wedge and rim the edge of two glasses. Dip/roll the rim into the sugar and coat the edge of each glass. 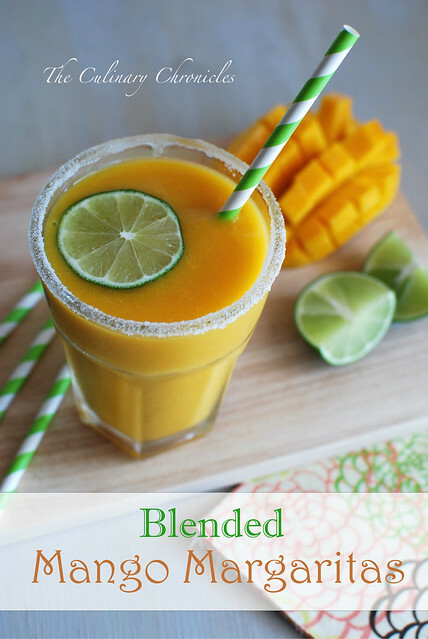 Place all the remaining items into a blender and puree until smooth. 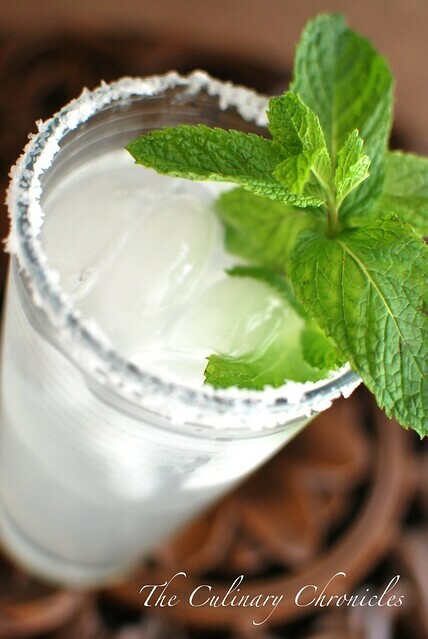 Pour the contents into the rimmed glass and garnish with a lime slice. Cheers! What would you recommend to replace the alcohol with for a virgin version? Hi There! I think a great sub would be juice (mango or pineapple would be lovely) or even coconut water 🙂 Cheers! Would love to try this at home sans alcohol. Probably cranberry juice or just coconut water would be good.